Eight Humorous Sketches by Mark Twian. Girard, Kansas. Haldeman-Julius Publications. No Date inside. Softcover. Very Good. Edgewear. Pages slightly yellowed. Appeal Pocket Series Vol. 231. 64 pages. 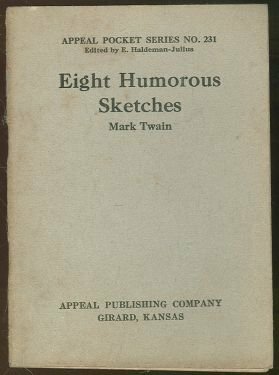 Items Similar To "Eight Humorous Sketches by Twian Appeal Pocket #231"